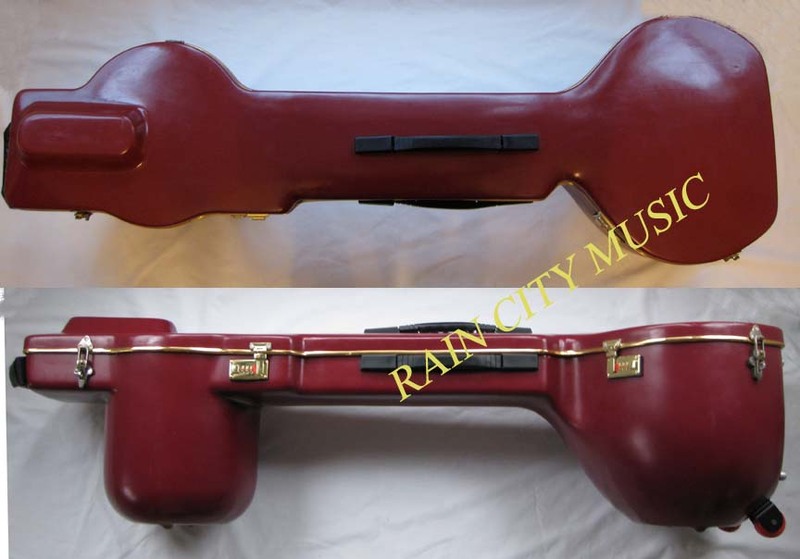 Sitar strings, mizrabs , tuning aids, fret thread, sitar pegs, case covers, soft cases, oil boxes, finger oil, Sitar bridges, Fiberglass sitar cases and more. We also specialize in sitar amplification products. There's a lot to see so scroll down for everything! 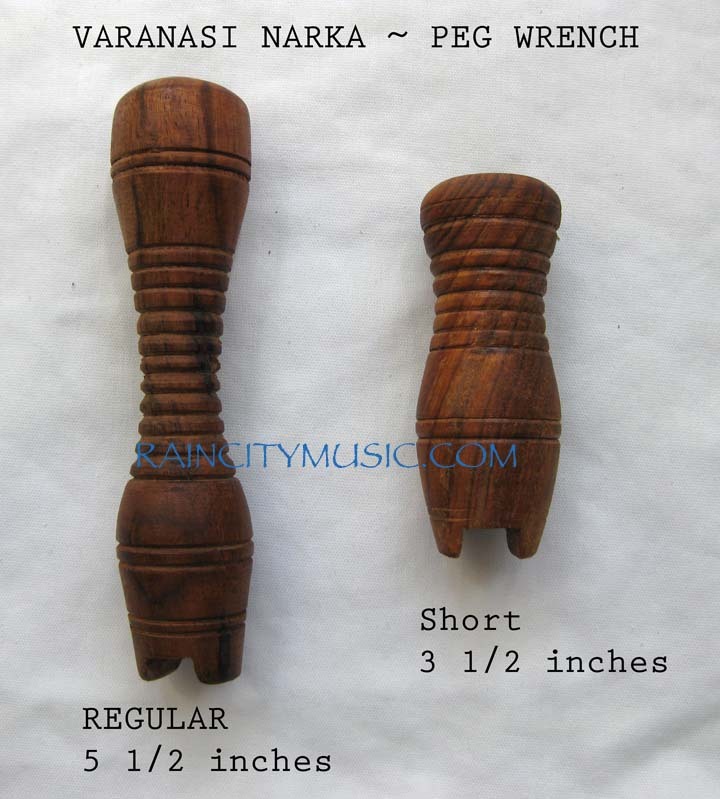 NARKA ~ Peg tuning aid for Sitar, Sarod, & Indian instruments. Hand made from french polished wood with a bone peg tip and felt lined. Ideal for tuning where the sympathetic pegs are close together. $18 each plus shipping limited number back in stock! 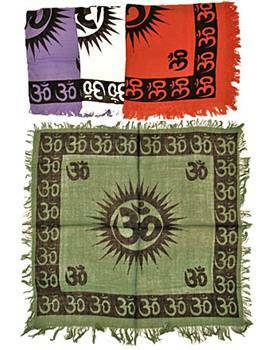 VARANASI STYLE NARKA ~ in regular and short sizes. Suitable for all sitars & surbahars. Made of teak wood with cut out for peg tips. 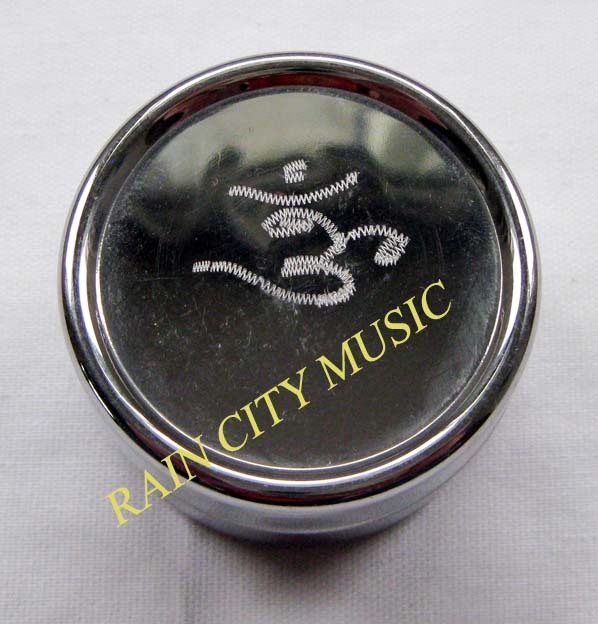 Suitable for most sitars & surbahar. Unlined & beautiful and durable.....Let me know if you have unusually thick peg tips. 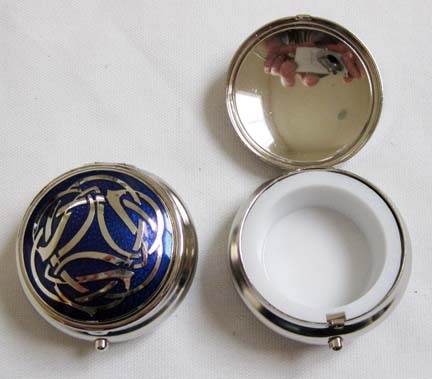 Fancy hinged oil boxes ~ In various Celtic patterns, these are very well made flip open type oil boxes with a plastic insert for your cotton/oil. 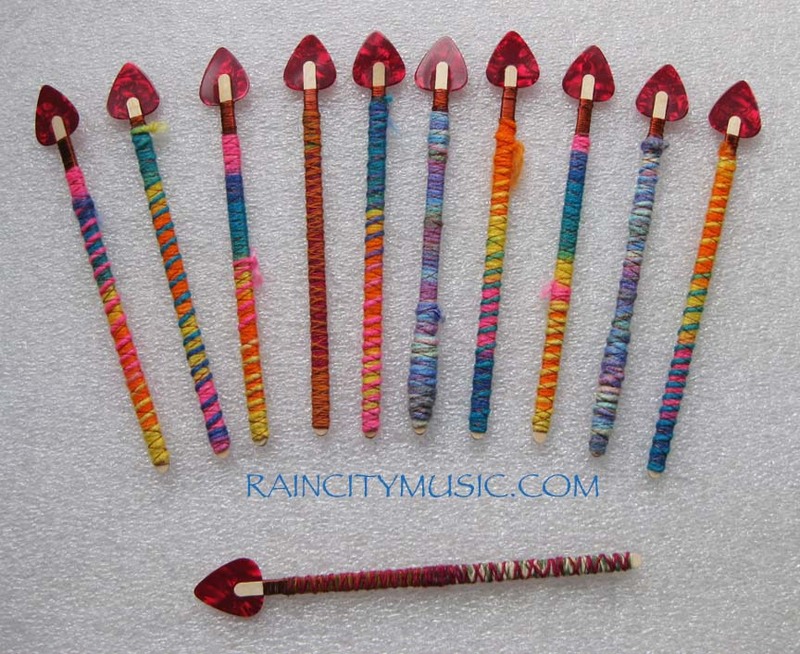 These were featured years ago when we first started Sitars Etc. and we've found them again! Colors and designs will vary, indicate your color choice in comments and we'll do our best but they're all beautiful and well made. Inexpensive oil boxes ~ from India, limited supply. Large enough and good talc boxes for tabla also. As shown. 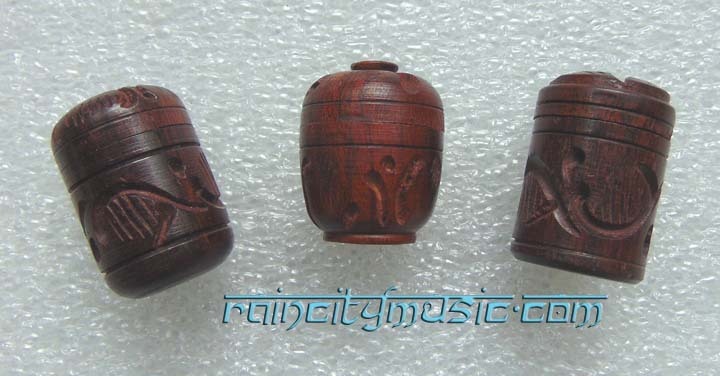 Small wooden oil boxes ~ solid wood handmade from Varanasi, India, these unscrew and have a compartment you can put some cotton with oil on. Great for traveling and a nice discovery from our last trip. Includes cotton. These are similar size as regular but a little deeper and replacing them for 2017/18. The OM design is also fancier, designs vary slightly. Compact wooden oil boxes ~ from the same maker as the ones above these measure approx. 1 X 1 inch. Throw in your pocket and ready to go, screw top all wood construction in 2 styles as shown. Comes with cotton inside. Small (Acorn) Out of stock, sorry! 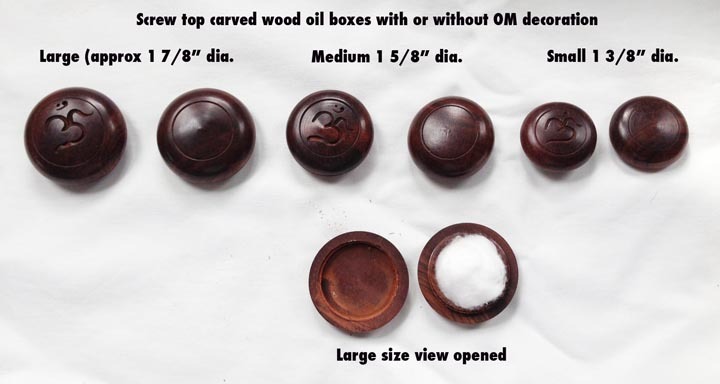 Carved compact wooden oil boxes ~ from the same maker as the ones above these measure approx. 1 X 1 inch. Throw in your pocket and ready to go, screw top all wood construction. Styles vary, no 2 alike...comes with cotton inside. Tin oil boxes ~ Back again! Larger boxes are 1 1/2 inches wide, small is 7/8 inches. Please specify color in comments during checkout. OM style regular $5 each plus shipping . I have red/green or a new rainbow design (not shown). Specify which in comments during checkout. If that's not enough, there are more oil boxes on the India Gifts page! NAG CHAMPA OIL ~ Use straight out of the bottle or add a few drops to your favorite oil mixture. JASMINE COCONUT OIL ~ We've been asked over the years about what kind of oil do a lot of professional player use? Well here it is, it's a special type of hair oil and non sticky. 50ml size bottle will last a very long time. Click for larger image PEG ROSIN LIQUID Our own mixture, not too sticky or buildup problems compared to other types. Easy application dropper bottle. Biodegradable and environmentally friendly ingredients (free of carcinogens) all sourced in the USA. One or 2 drops on the contact surface will prevent slippage of troublesome pegs. PEG ROSIN POWDER Made in Germany, aluminum shaker can. Put in your hand and grind into contact surface. $8.00 each plus shipping only a few left then will be discontinued. CHALK ~ 1 stick of wax-free white railroad chalk, the traditional way to prevent peg slipping. Will last for years. Frets ~ nickel silver frets that will fit Srishti sitars and many others from Calcutta including Rikhi Ram, etc. 3 5/8 inches long, .018 thickness. Will not match Hiren Roy flat fret setting. Please send us your length and thickness measurement before ordering. Miraj style frets are 3 3/4 " long by .019 inch thick. FRET THREAD ~ Traditional type or nylon #18 thread used to tie your frets. Colors and roll types may vary slightly from picture. 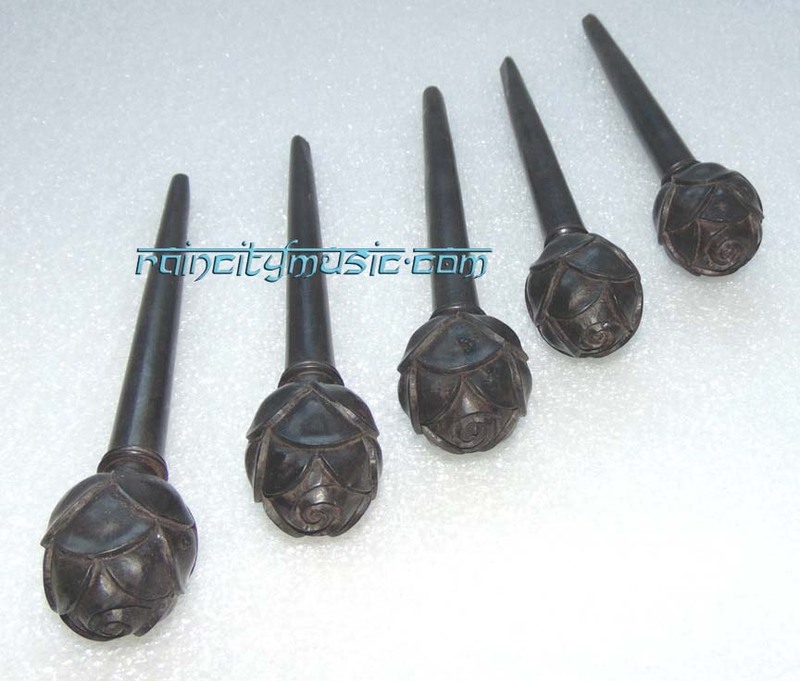 SYMPATHETIC PEGS ~ unfitted various designs. If it's listed in the drop down then it's available. Several other pegs available, send us your picture to inquire. Please specify rose or spiral in comments during checkout. Check first via email to see what's available please. Check first via email to see what's available please. Several other pegs available, send us your picture to inquire. Sympathetic string plectrum $6.50 each Hand made by the illustrious Harry OM locally. A nice tool for those having issues tuning sympathetic strings! Style and colors will vary somewhat. 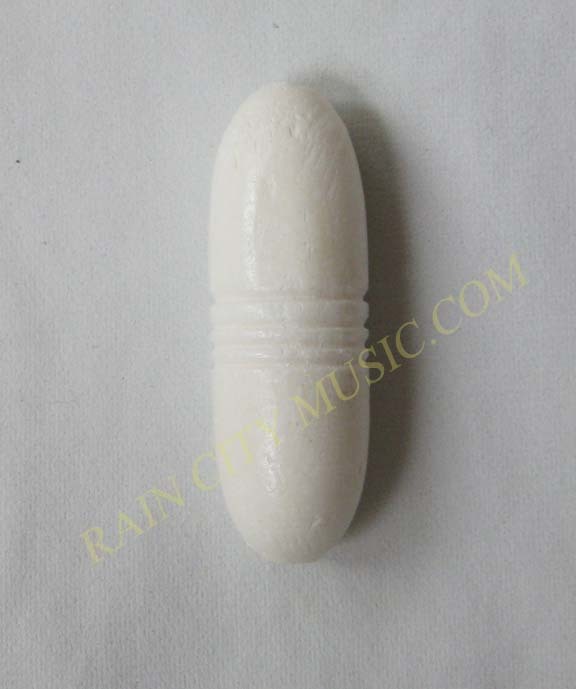 Large fancy tuning bead for surbahar and other larger instruments. Approx. 1 1/2 inches long. 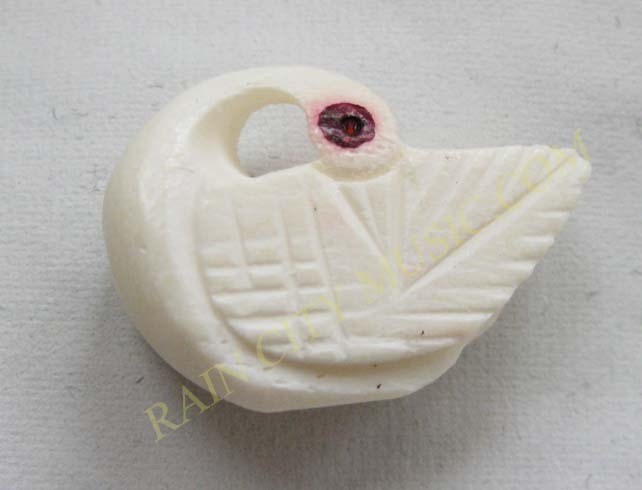 Hiren Roy ~ Rikhi Ram type sitar swan tuning bead. Made in USA now, new pics soon. 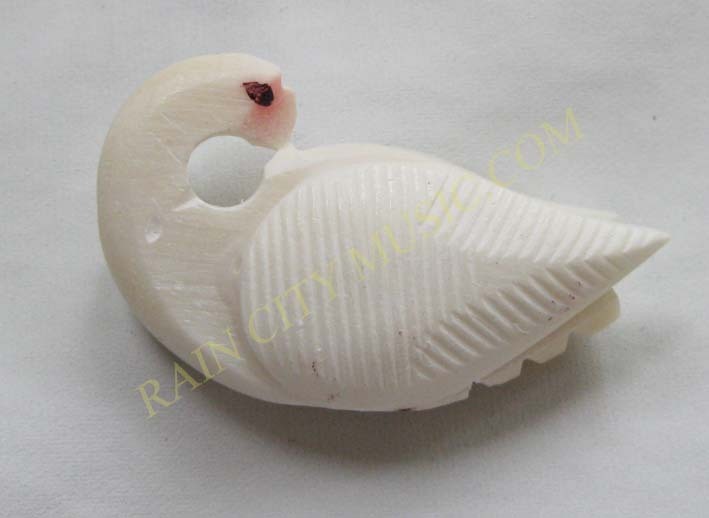 Hiren Roy ~ Rikhi Ram type sitar swan tuning bead. Small version for jori, kharaj, etc. Approx. 3/4 inch long. 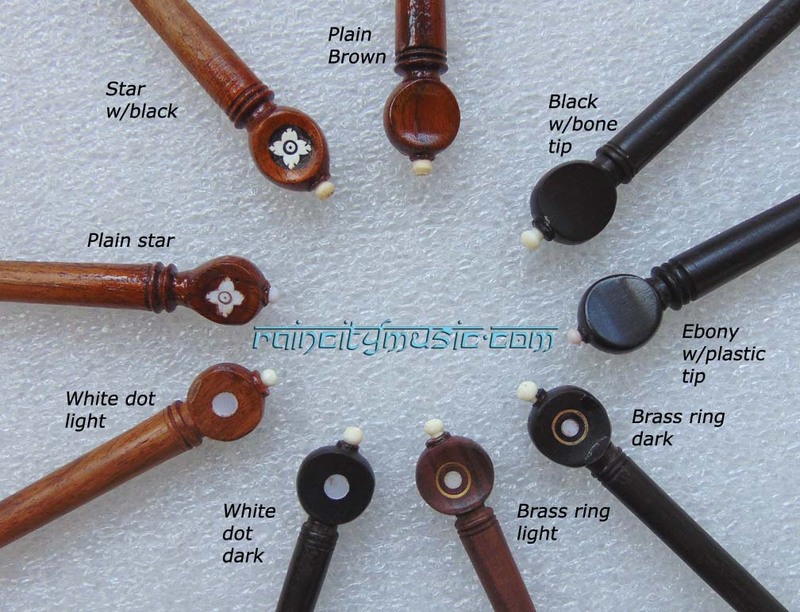 Round bone tuning beads. For Jori, Laraj & Kharaj, etc. strings. We have ultra slim beads in this style also, just type 'slim' in checkout comments. 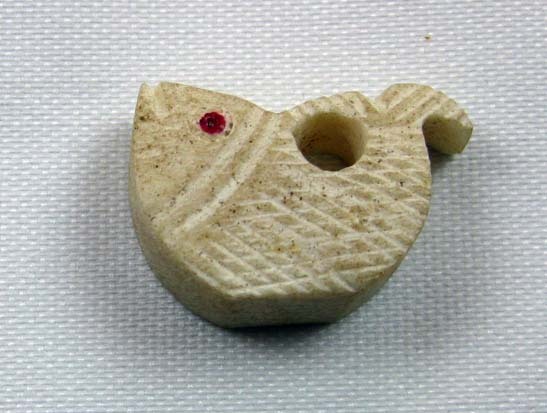 Carved fish tuning bead for Jori (2nd) string, Kharaj, etc. Work very well. Chikari posts, string groove pre-cut if needed. Deer Antler: $25 each from US antler hand made to your specs. 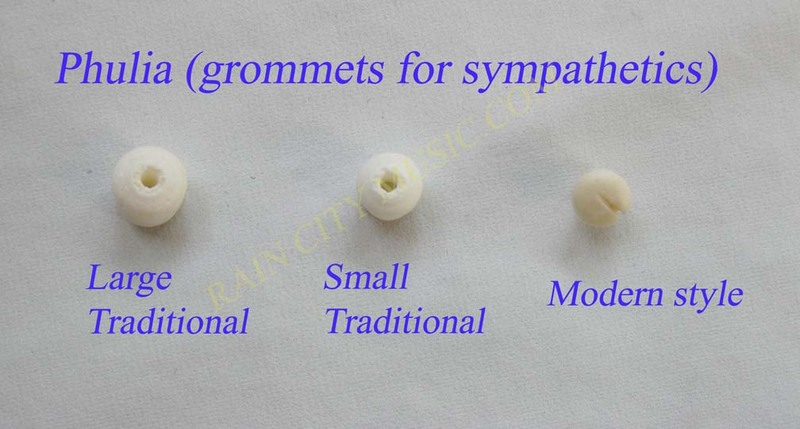 Phulia: Grommets for the sympathetic string holes in 3 different styles as shown in the picture. These are not plug and play, some fitting required usually. $0.75 each traditional now one size only. Tar Gahan set. 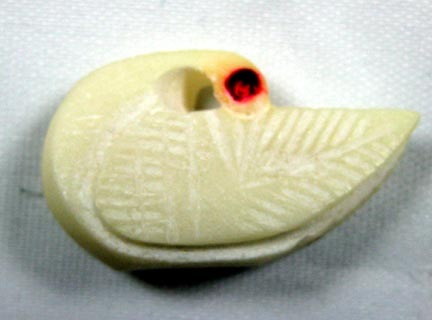 Carved bone blank, string slots can be cut by you to suit your style. Sold as a set only now as shown. 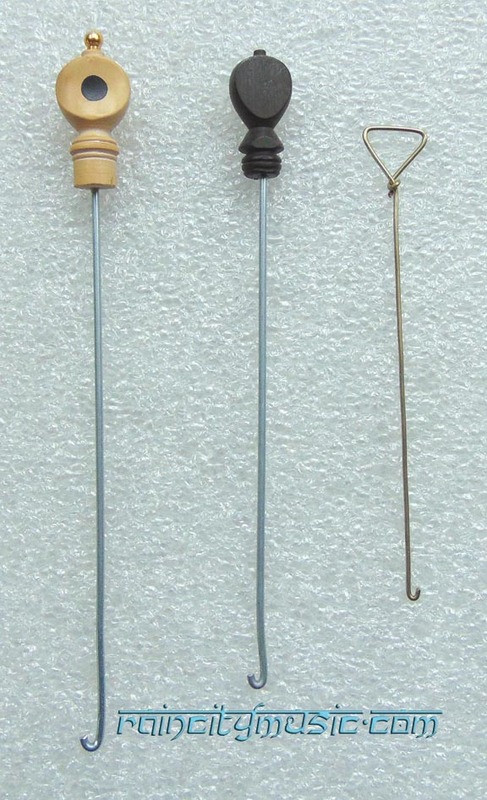 These are the same as used by almost all the instrument makers now, good quality. The Surbahar set is much larger. Fish/heart beads. 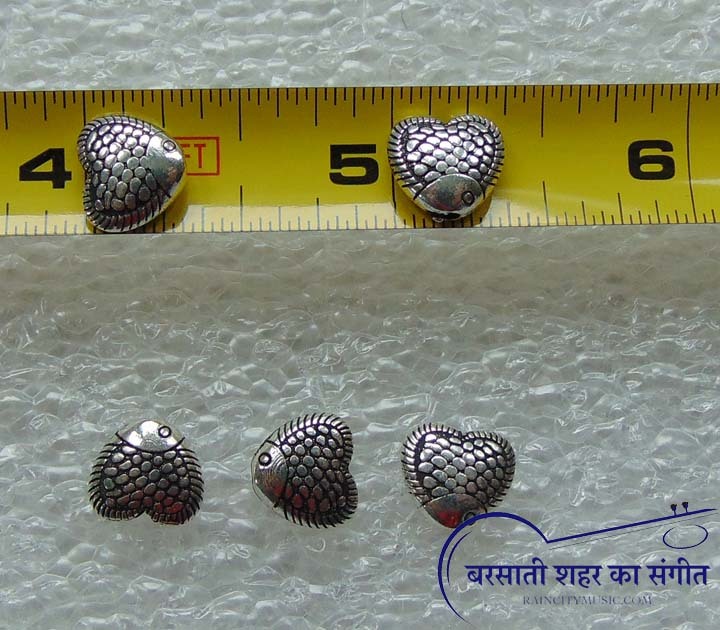 Metal small beads, perfect for stopping unwanted resonance from the back of kharaj strings or buzzing, etc. Made in India. Tiny brass grommets! Useful for ?? Sympathetic string fine tuning maybe behind the nut? Made in India, come in sets of 13. 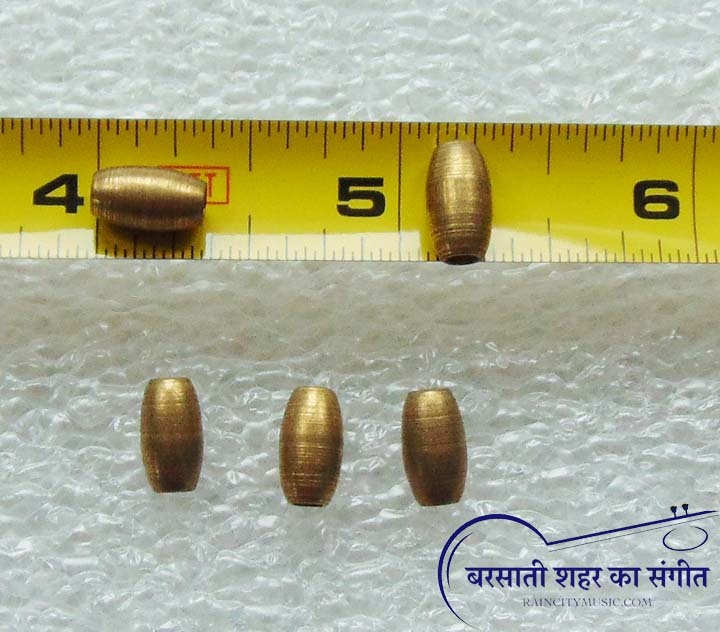 Tiny oval beads, useful for stopping various sympathetic resonance generated behind the bridge from kharaj and other strings. Made in India. Please specify silver or bronze in comments during checkout. 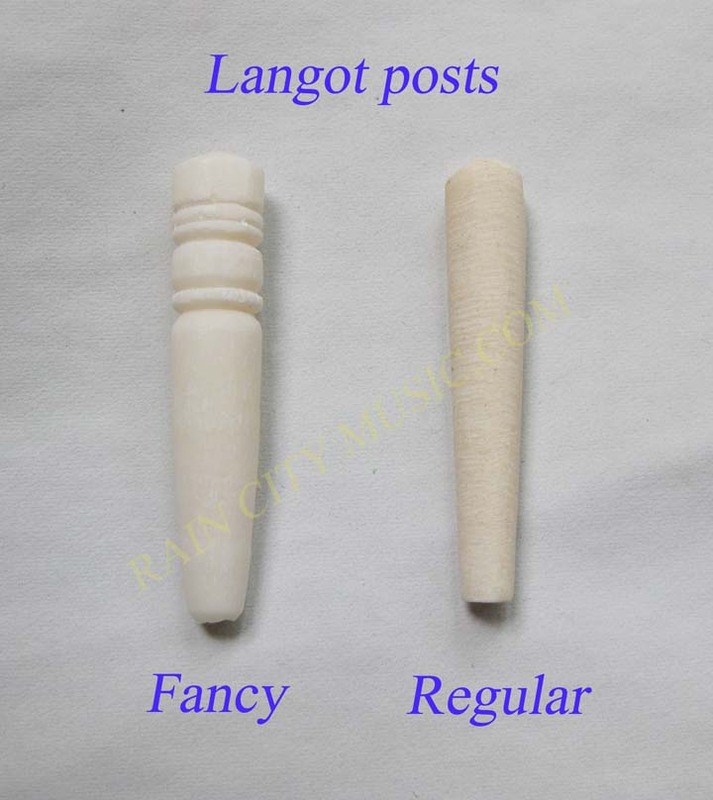 LANGOT POST, (string anchor for tailpiece) replacement pre-cut. 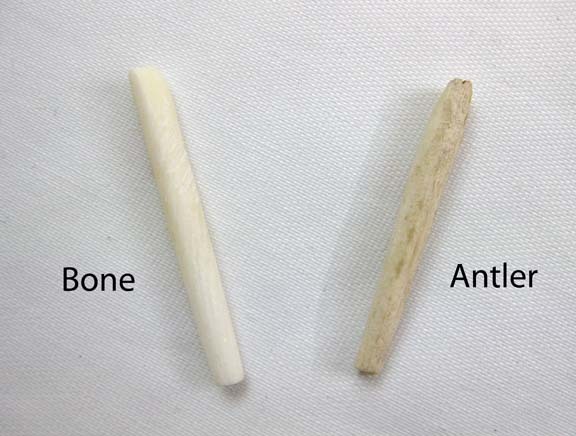 Bone as shown in above langot picture. Langot ~ fancy brass with rough cut langot post. 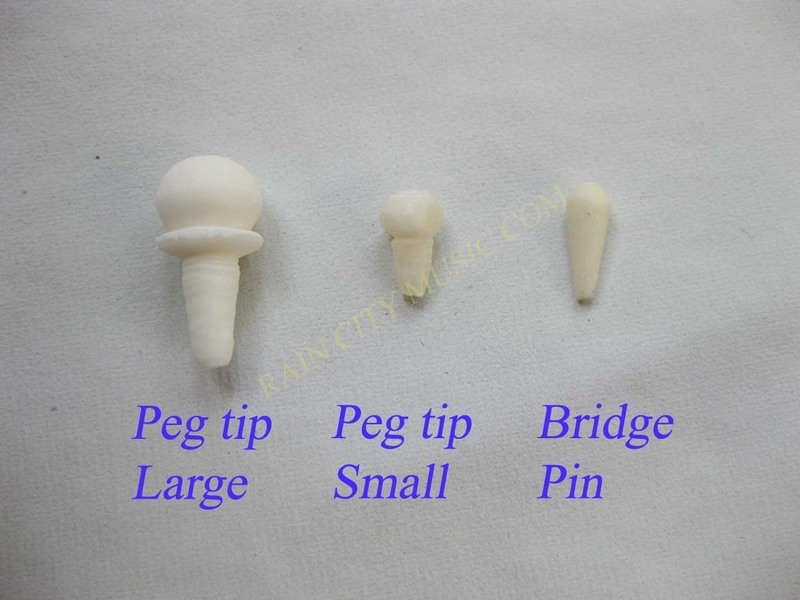 Peg tips & bridge pins ~ Large tips for main pegs, small for sympathetics. The bridge pins have several uses. 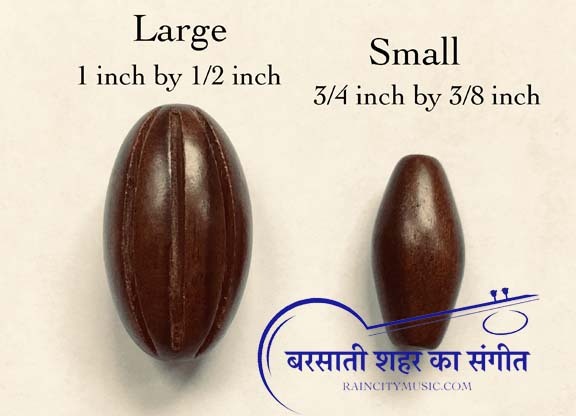 Tanpura nuts ~ targahan/arah Unfitted for most larger tanpuras, made of bone from India. 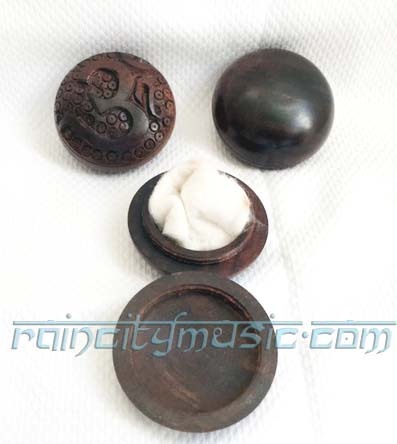 Ebony tuning beads ~ From SE Asia, nicely made and smooth. 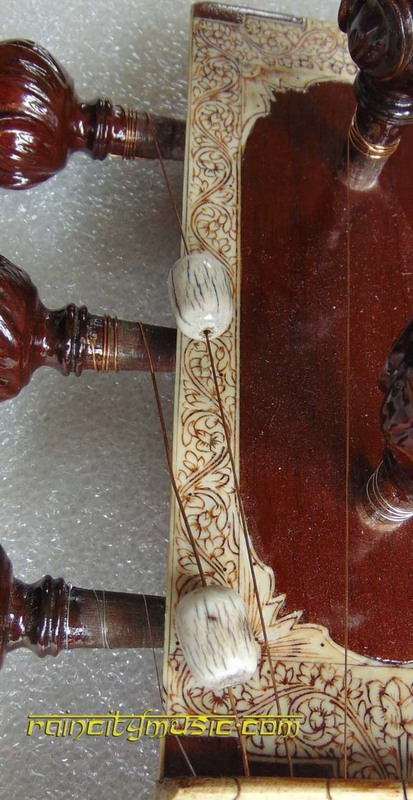 Sitar Bridges. Replica bridges with special fillers and additives. Density and weight similar to deer antler. Much more information coming soon, for now I'd request you email for details. I will need information on the type of instrument and what you'd like before making and shipping. I have approximately 30+ different styles of bridges. Custom duplication also available, this enables you to have your favorite bridge in the future always ready. Kharaj Pancham: Hiren Roy original, Barun, Mohan Lal, Rikhi Ram, Sen Gupta, Naushad Sitarmaker, Subasch Bhowmick, Radhey Shyam Sharma, and vintage Hemen, Radha Krishna Sharma, and Rikhi Ram. 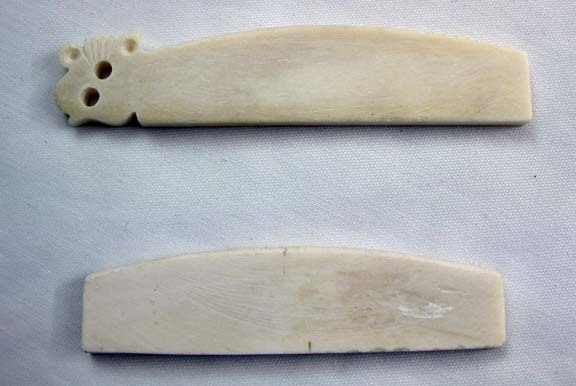 Bone bridge (Mid-East -Bhargava type) good for practicing jawari on 1 or 2 times but not great otherwise. 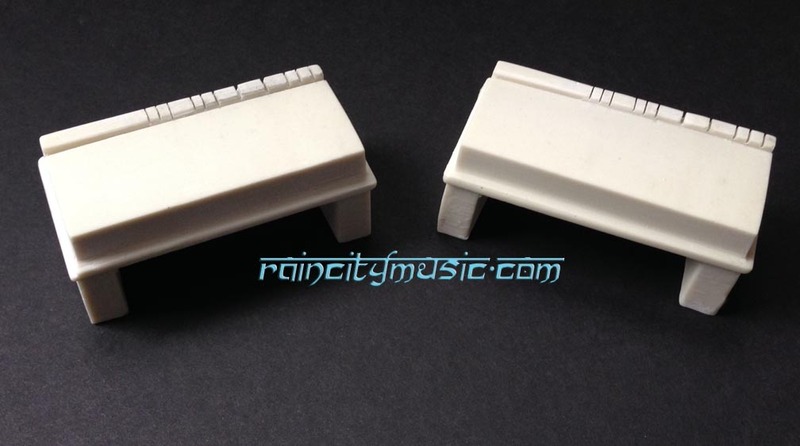 $19 each single main bridge only Add to cart. Protect your sitar bridge from premature wear!! 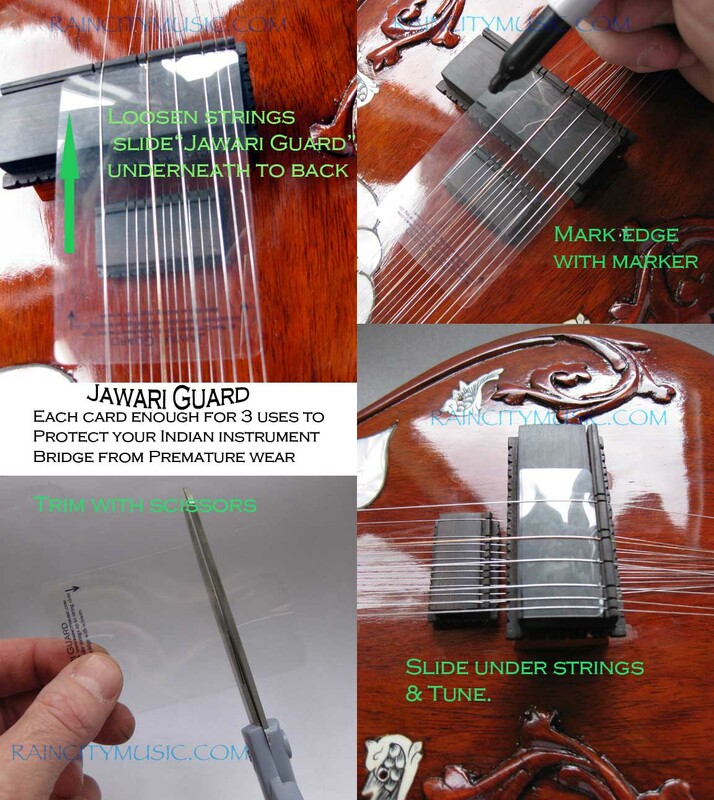 JAWARI GUARD ~ Protect your bridge from premature wear. Cut to size, enough for 3 pieces for a standard sitar bridge. Form fitting plastic allows you to have a reasonable amount of sound when doing standard practices and save your bridge for regular playing and performance. Please note we have a $5 minimum shipping amount on all orders. Comes included with all sitar purchases. 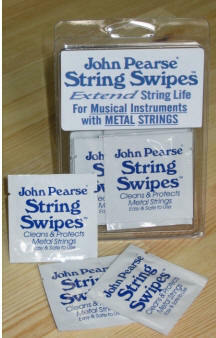 STRING SWIPES ~ From John Pearse, individual packets or pack of 20. Suspends and removes oxidation and creates a microscopic protective barrier.Use before and after playing occasionally to help your strings last longer between changes. 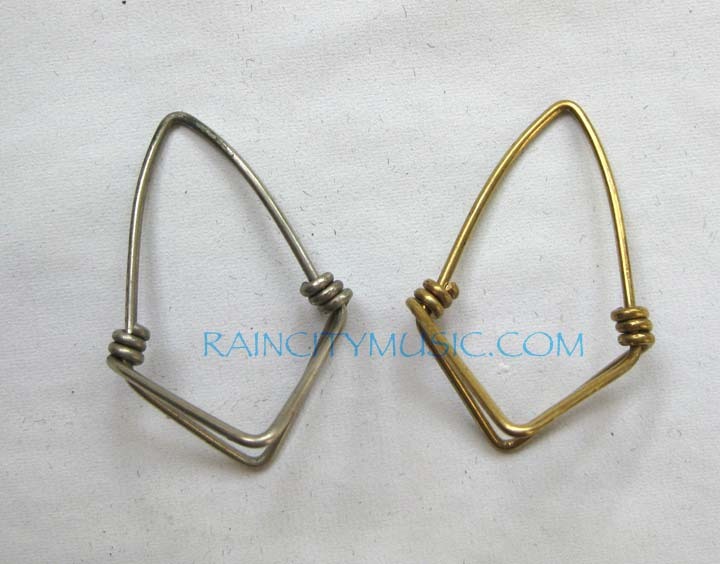 TARAF Hooks ~ Used for sympathetic string changing. Wood boxes and other accessories now on the 'India Gifts' page ! 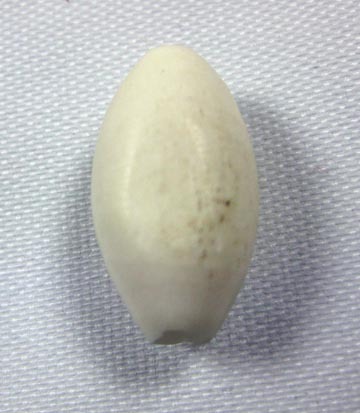 REPLACEMENT GOURD - TUMBA ~ Decent sized natural gourd from Kolkata. Includes the matching nut to place inside the yoke. Gulab/rose carving full decoration in dark shellac finish. Includes a fiberglass gourd case. In stock styles and colors vary, best to email first if in doubt. In stock types will vary. 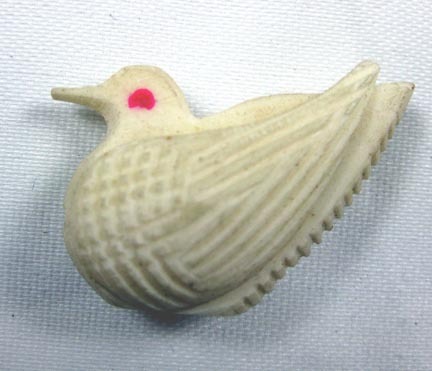 We can custom order order most of the Srishti gourd styles or custom make them as well for you. 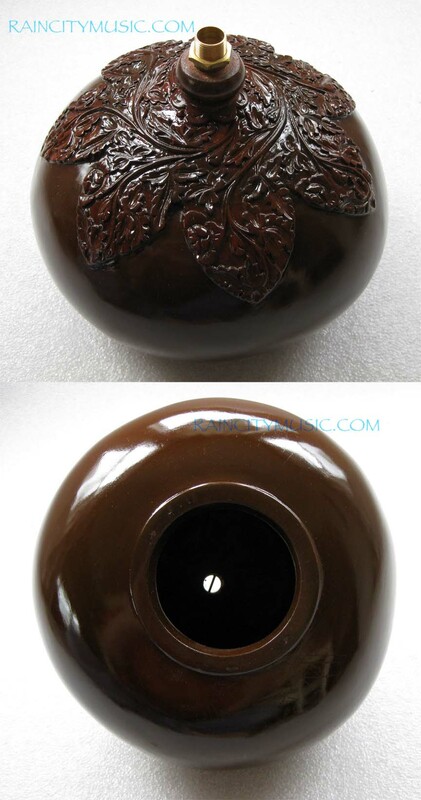 Price range is $170 to $210 + shipping from USA depending on style and all include a fiberglass gourd case. Please email us for details. 2 in stock currently with gulab patta design, half decoration. Dark brown. Tumba pipe with nut ~ Pipe fitting that mounts in a sitar, surbahar, or rudra veena, etc. top top, includes matching nut for yoke. Regular size, will not fit older cheap sitars with thin mounts. 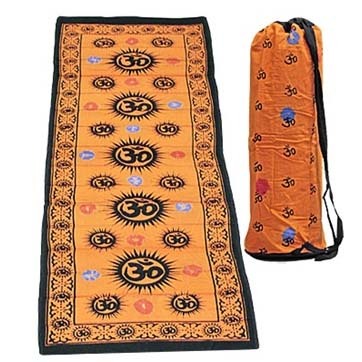 SILK SITAR COVER ~ Faux silk fabric to cover a sitar when out of its case, keeps the dust off, also good for putting on your instrument before shipping or transporting while in its case. Available in red or white please specify preference in customer comments section when ordering. 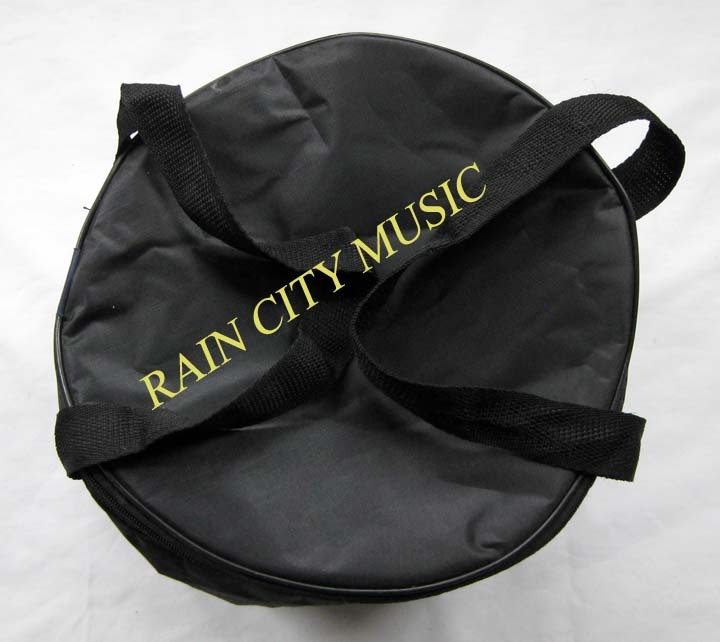 PADDED BAG FOR TOP GOURD (RAVI SHANKAR STYLE SITARS) ~ Made in India for when you want to remove your top tumba these handy bags make storage easier. LARGE FABRIC BAG FOR TOP GOURD (RAVI SHANKAR STYLE SITARS) ~ Thick fabric bag for larger gourds, not padded but well made. DOUBLE TUMBA with or without wheels as needed. 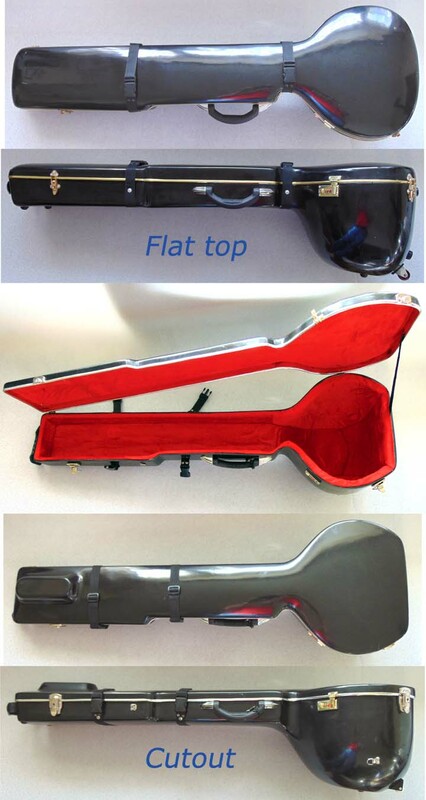 Deluxe padding, very nice cases. $385 each. Includes shipping to North America, Europe, Japan, Australia. All others please email first. Shipping is direct from India. 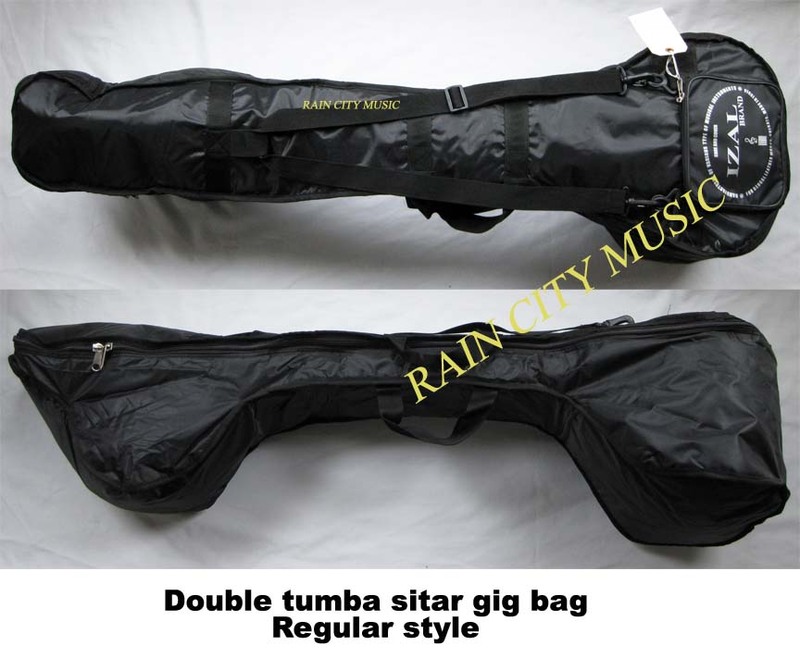 DOUBLE TUMBA ~ Treble case from Delhi (not shown), no frills but quite ok 1 only in black in stock. Shipping price same as a sitar due to size. DOUBLE TUMBA rexine/fiberboard case 1 only! Picture not shown. $350 each. Allow 2 weeks for shipping, please specify flat top or cutout in order comments. Includes shipping to North America, Europe, Japan, Australia. All others please email first. Shipping is direct from India. Many colors available. Outside Nylon case cover with straps (for Naeem/Miraj cases or Mohan Lal only)(pics up soon) Well made outside protection for your fiberglass case. 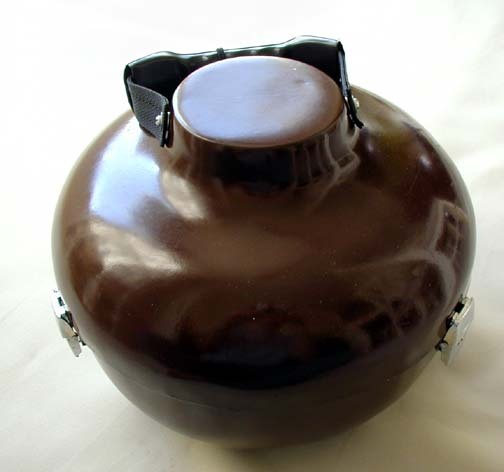 LARGE UPPER GOURD FIBERGLASS CASE ~ Protect your gourd with this padded & lined case. Suitable for larger upper tumbas, usually the spun wood type. If in doubt, email us your measurements before ordering. Measures appx. 12" diameter by 10" deep. Color can be chosen as it'll be made for you if you like or can send you one in stock. Please send us your measurements if in doubt. SITAR TRANSDUCERS ~ Now on their own page here! TOP QUALITY MIZRABS ~ Sometimes harder to find than a good instrument, a proper fitting mizrab is essential to your playing. 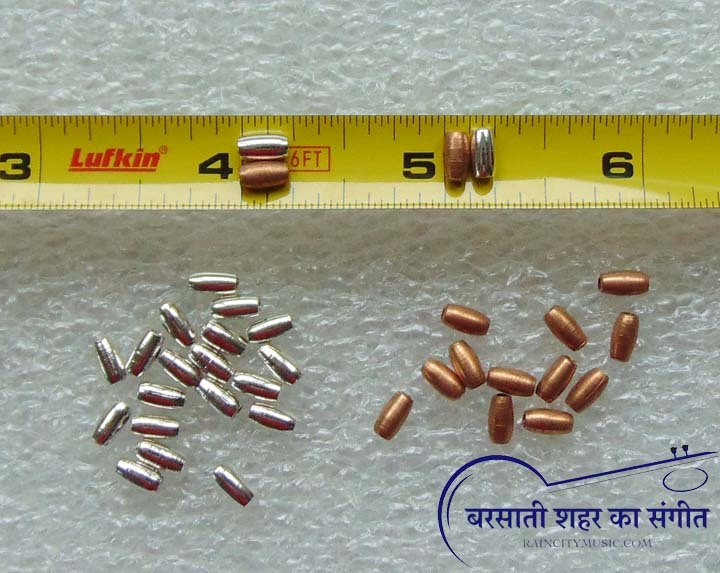 We feature thicker wire mizrabs and the sizes are indicated in the selection boxes. We generally don't have any smaller or larger than listed. Also please note that usually the smaller the mizrab, the tighter it will be so please choose accordingly. We have a few of the older thinner wire mizrabs still, please indicate in comments during checkout if you want that type and we will send it only if we have it....Your questions most welcome via email or phone. If you have a favorite size, select the closest size in the drop down menu, you can also add your preferences in the comments section of the order page during checkout. We'll try to match it for you rather than waste your time & money with the wrong sizes. If you are a new player then look at the underside of your finger and measure exactly from the first line of the joint to the tip (usually ¾ to 1¼ inch) and then add ¼ inch. Select Size 1 inch. 1 1/8 in. 1 1/4 in. 1 3/8 in. 1 1/2 in. Extra small and/or tight mizrabs (and yes I mean SMALL) ~ pack of 2. These will work for small children often and those with small/thin fingers. Please include any other size requirements in the comments during checkout! 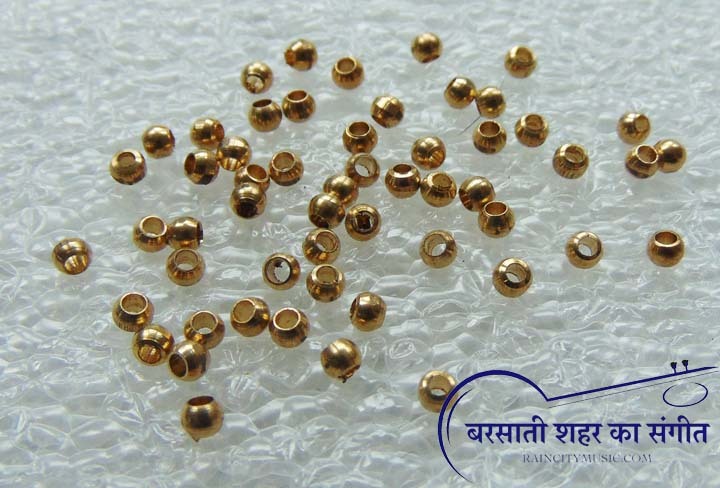 Brass Wire Mizrabs ~ From Varanasi, the thickest wire we can get from a good maker. Please note the smaller they get, the tighter they get, can be widened and tightened somewhat. If unsure just let me know and will figure out the best size for you.Wire thicknesses at about .052 inch. Select Size 1 to 1 1/8 inch out of stock. 1 1/8 to 1 1/4 in. 1 1/4 in. 1 3/8 +/- in. 1 1/2 +/- in. 1 5/8 +/- in. 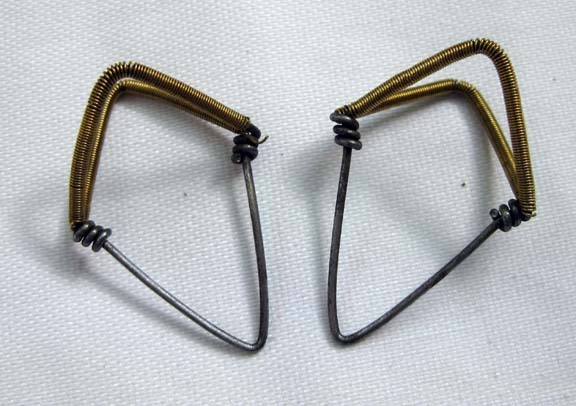 WOUND MIZRABS ~ Wound in gold wire, well made single anchor. Select Size 1 1/8 in. 1 1/4 in. 1 3/8 in. 1 3/8 + in. 1 1/2 + in. 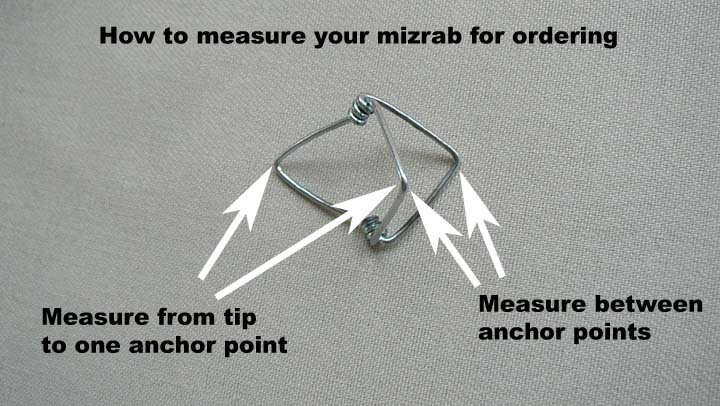 RUBBER COATED MIZRABS ~ Anchors wrapped in durable rubber tubing, thick wire design, from Benares and hard to find. Good for beginners or experienced and comfortable without sound compromise like the thinner mizrabs. Now in double mizrab style (2 sets of anchors). Select Size 1 1/8 in. 1 1/4 in. 1 3/8 in. 1 1/2 in. 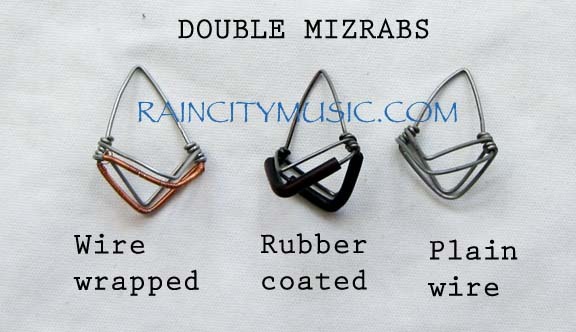 DOUBLE MIZRABS ~ double anchored wrapped in durable rubber tubing, wire, or plain thick wire design, from Benares and hard to find. Good for beginners or experienced (I use them personally) and comfortable without any sound compromise like the thinner mizrabs. We do not have sizes under 1 1/8". Select Size and Style Plain steel 1 1/8 in. Plain steel 1 1/4 in. Plain steel 1 3/8 in. wire wrapped 1 inch. wire wrapped 1 1/8 in. wire wrapped 1 1/4 in. wire wrapped 1 3/8 in.OUT OF STOCK rubbercoated 1 inch. rubbercoated 1 1/8 in. rubbercoated 1 1/4 in. rubbercoated 1 3/8 in. rubbercoated 1 1/2 in. 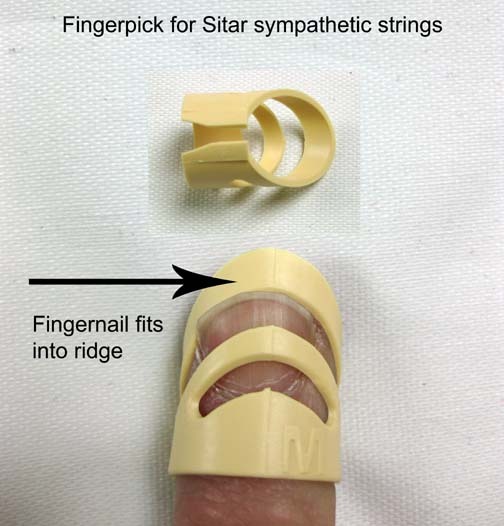 Fingerpick ~ A fitted plastic pick that form fits to your finger for strumming and tuning the sympathetic strings. Useful for those who are unable to grow long nails on the little finger. Comes in S,M,or L. and made of plastic. Click on the picture for example. 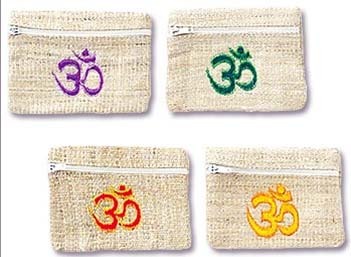 Mizrab bags ~ Zippered 4x3 thick hemp bags perfect for keeping your mizrabs from getting lost! Please visit the India Gifts page for more mizrab bags and other accessories. 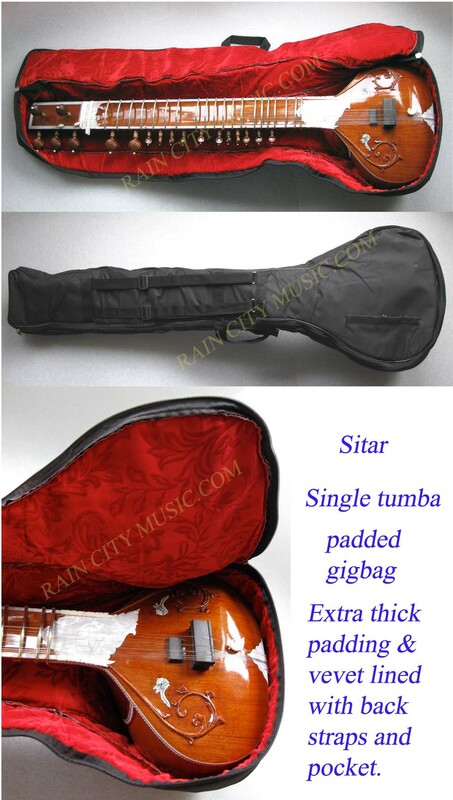 Sitar gourd cloth ~ Is your arm slipping or getting sweaty when playing? 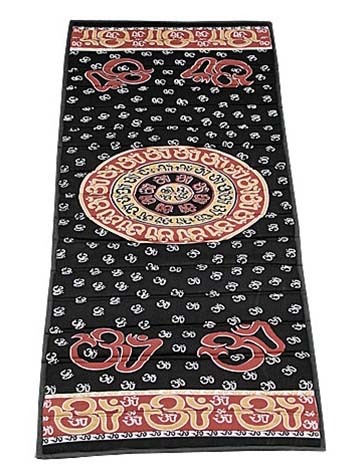 Some players use a cloth for this between their arm/foot and gourd have some nice ones here with 'OM' design on them. 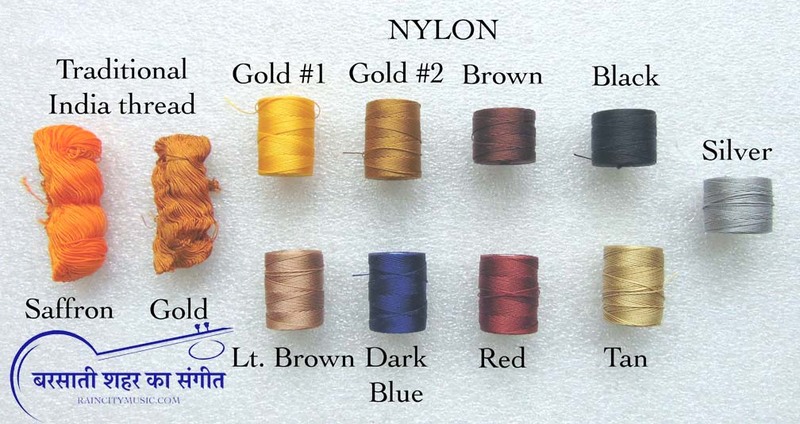 100% Rayon, made in India. Colors are Green/Red/Purple/Yellow now. Please put choices in comments section during checkout in order of preference and will do our best if they're in stock. Almost out, will be discontinued. 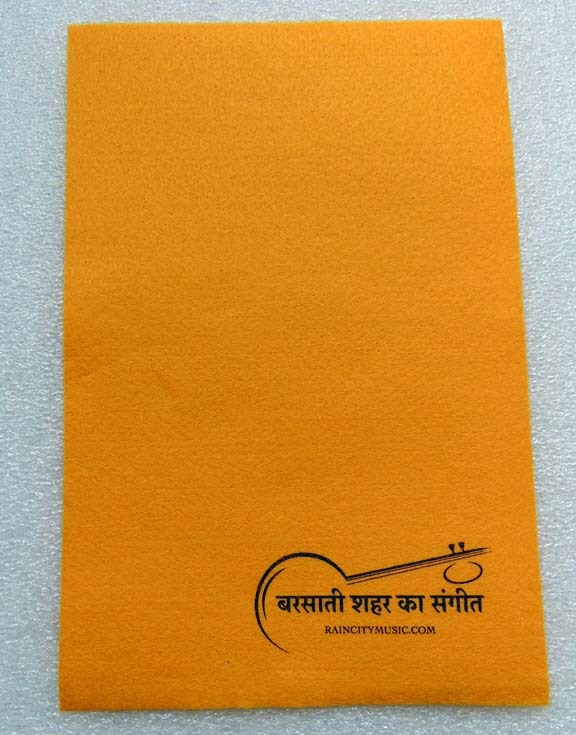 RCM Sitar gourd cloth ~ Micro-fiber style shammy cloth, another alternative for under your arm. 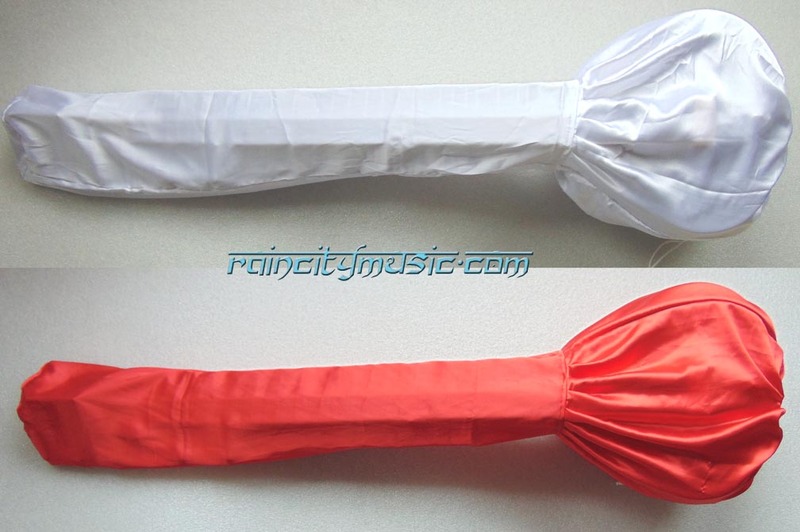 Grips well and can be used for cleaning your instrument also and washable. 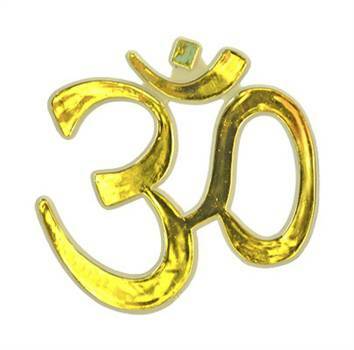 Embossed OM sticker ~ Have had a lot of requests for this from people that already have a sitar and want to add an 'OM' symbol. I found them from a street vendor in Delhi. 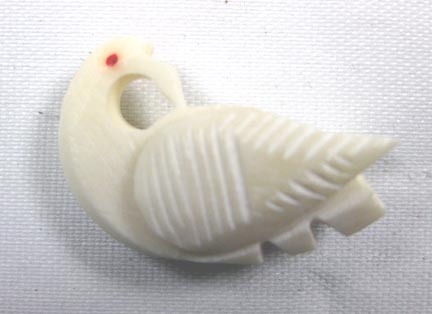 This is an embossed solid plastic piece that will fit nicely almost anywhere at 2 1/4 inches tall. 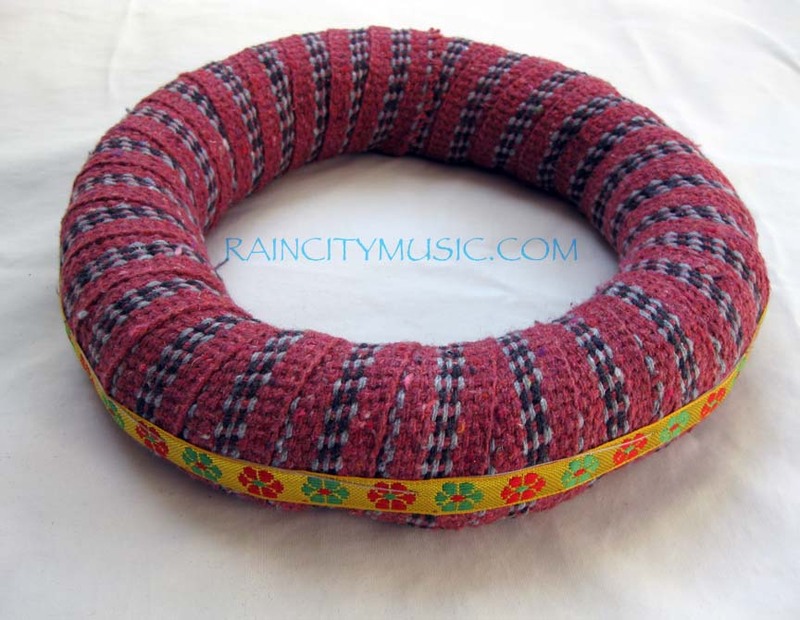 Padded Ring ~ Tabla rings are often used to place under the sitar gourd when it's flat on the floor, changing strings, or even playing cross legged. These measure approx. 9 inches wide with the hole being 6 inches wide. Color as shown. They're not light so need to go flat rate padded envelope. Add to Cart View Cart in stock again! 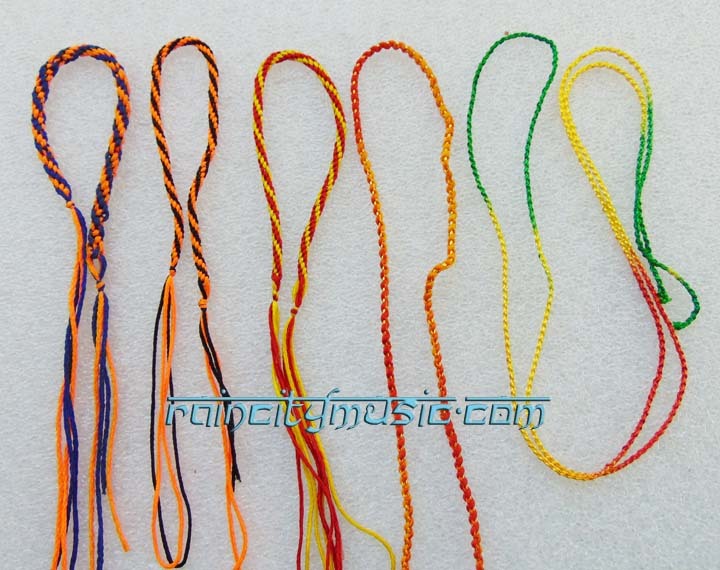 Rakhi bracelet for sitar ~ Some players like to hang these on the second string peg, around the arah (nut), etc. These have small tassles but ok for a subtle presence. Styles can vary slightly but have a very nice lady I buy them from at Dasaswamedh gat in Varanasi each year. In the comments during checkout please let me know which one you'd like. 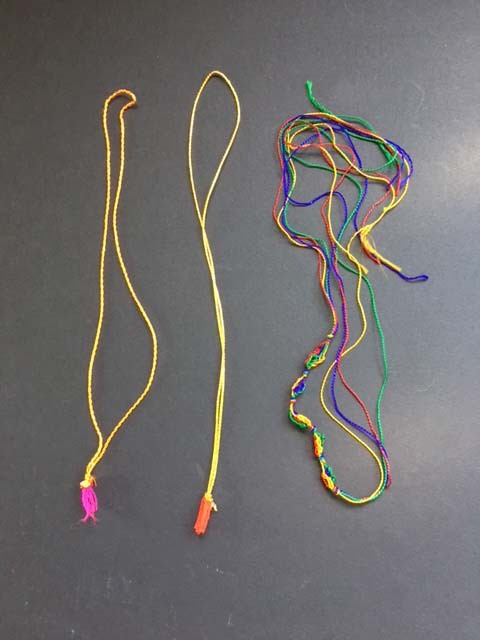 Red tassel, pink tassel, or rainbow. If no type in comments the red tassel will be sent by default. Rudraksha Rakhi ~ Also from Dasaswamedh gat, please indicate which you'd like in comments during checkout. White, dark, or mixed. 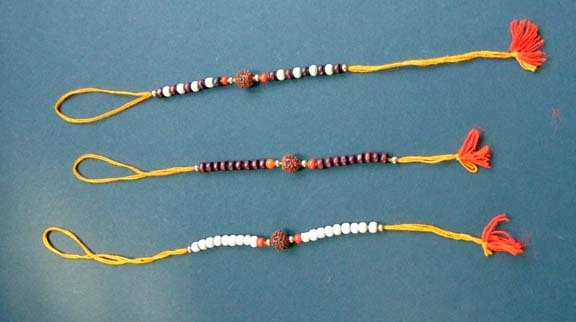 Temple Rakhi ~ I found these near a Hanuman temple in UP and bought a bunch. Please list color preference in comments during checkout, the 1 on the right is much longer. 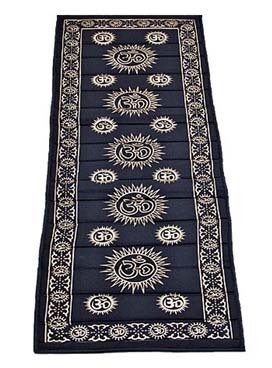 Padded Practice mat ~ We found some really great practice mats to sit on or to sit your sitar on. Double padding with an OM design of course it measures 2 feet wide by 6 feet long. 3 styles to choose from. Shipping is fixed due to the size and bulk, smaller items can be added at no extra cost. 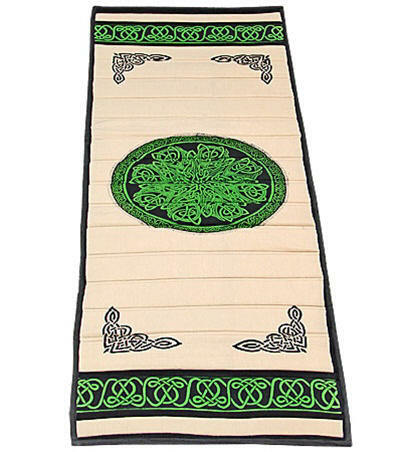 Organic cotton and Kusa grass mat ~ One of the greatest things I've found on my trips. 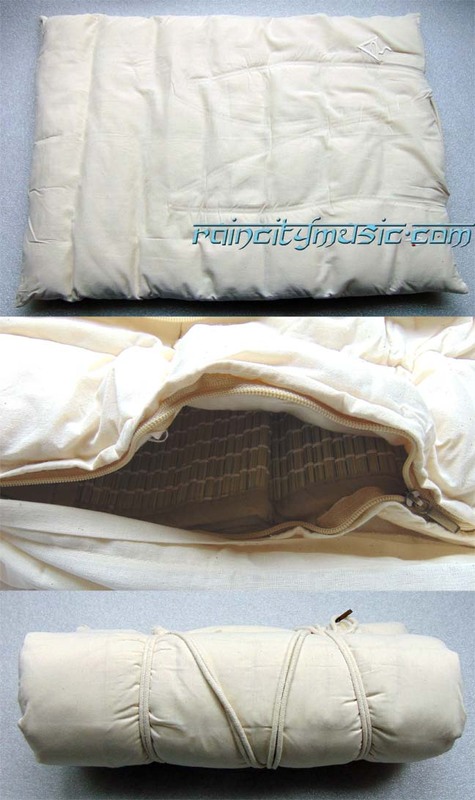 It's a padded mat, the inside is a woven Kusa grass mat surrounded by organic cotton. The it's wrapped in another layer of organic cotton. Kusa/Dharba grass is said to aid in meditations, etc. as per the Vedas. All with zippers, etc. so it's washable. 36" X 22" in length, it's 3 1/2 lbs in weight. I use one myself every day.